The Ninth Session of the World Urban Forum (WUF9), which will be taking place in Kuala Lumpur (Malaysia) from 7 to 13 February, will be the first session to focus on the implementation of the New Urban Agenda adopted in Habitat III. WUF9 will be instrumental to substantively feed into the inputs for the first report of the implementation of the New Urban Agenda. The World Urban Forum is a non-legislative technical forum convened by the United Nations Human Settlements Programme (UN-Habitat) held since 2002. The Theme of WUF9 “Cities 2030, Cities for All: Implementing the New Urban Agenda” – places the Forum’s focus on the New Urban Agenda as a tool and accelerator for achieving Agenda 2030 and the Sustainable Development Goals. 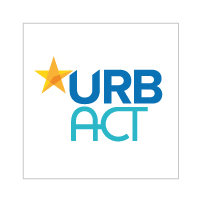 The New Urban Agenda was adopted in October 2016 at the United Nations Conference on Housing and Sustainable Urban Development – Habitat III in Quito (Ecuador), an event in which URBACT participated. It is a result of a unique consensus among all participating states. The document sets out a common vision and global standards for urban development in the coming decades. "Cities contributing to the New Urban Agenda implementation through the International Urban Cooperation programme", Thursday 8 February, 5:30-7:00 PM, Kuala Lumpur Convention Center, AFINUA room. "Addressing socio-spatial fragmentation in Latin America and the Caribbean and Europe: shared challenges, shared views", Friday 9 February, 2:00-3:00 PM, Kuala Lumpur Convention Center, room 408. "Participatory approach for sustainable urban development: how Italian cities are implementing the New Urban Agenda through URBACT", Monday 12 February, 6.00-7.00 PM, Kuala Lumpur Convention Center, Listen to the cities room. "Metropolitan and Territorial Agencies mobilized for climate planning", Tuesday 13 February, 9-11 AM, Kuala Lumpur Convention Center, room 408.